We gather for a late winter radical faerie retreat space, taking time within, giving time to ourselves while held in the loving embrace of our magical community. Through silence, meditations, circles, art and ceremony we will share a week of exploration, discovery and healing. Who are we? What are Radical Faerie Healers? What is our purpose and what are our methods? What healing/retreat skills have we gained in other communities that can feed into the growth of our faerie community? 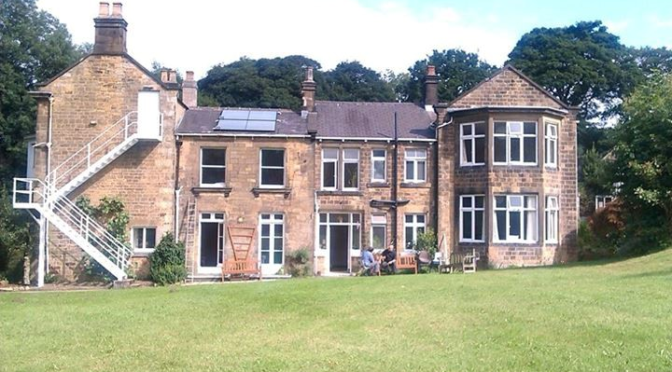 On the retreat at Unstone Grange, Derbyshire, we will explore through breath and stillness, guided meditations, shamanic journeys, sharing circles, ceremonies, artistic creativity and silent mornings. Building on the revelatory experience of moon circles at the first coming home retreat, we will be exploring astrological archetypes as a tool of self-awareness. Facilitators Blaze, DandeLion, Paradox, Samicee, Sexual, Shokti and Unicorn Spice each bring their unique experiences of mystical discovery to this cauldron, and are excited to be offering another retreat at Unstone, where we aim to offer Faeries some time to reflect, conjure and share healing spirit, absorbing the stillness, peace and compassion of the Piscean new moon. Indoor accommodation for up to 30, plus shared dormitory in the barn for up to 8 at very low cost. Live-in vehicles welcome. We encourage everyone to come for the complete retreat if at all possible. Let’s take a journey together. So break even costs are £32 per night indoors, £17 per night sleeping in barn. If you are able to pay above the break even price it makes it possible for those who cannot afford that much to be part of the retreat, so please be generous if you possibly can!